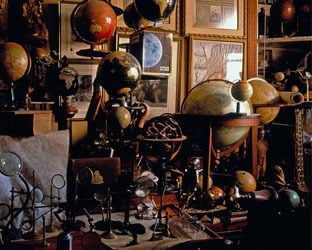 Antique globes, maps, prints and art. Located on Manhattans Upper East Side since 1993, the George Glazer Gallerys unusual ambiance reflects its owner  scholarly and intellectual with an eye for the decorative and a sense of humor that revels in the offbeat. This interesting combination has attracted the attention of the antiques and home decorating press. 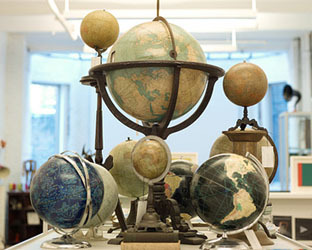 We are the worlds leading gallery for antique globes. We have 1000s of items on our web site and more in stock, including a large assortment of pictorial maps, New York City and Long Island maps, celestials, natural history and botanical prints, architecturals, views and gavels. We also assist with framing and mounting, prop rental, decorating and gift selection. We work with some of the worlds leading interior design firms and offer guidance to customers looking for something to fit their own decor. We sell to historic houses and museums as well as private collectors. 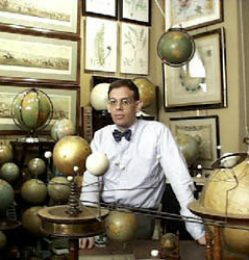 George Glazer began his career as a corporate attorney, then worked for a prominent New York City map and art dealer before starting his own gallery. 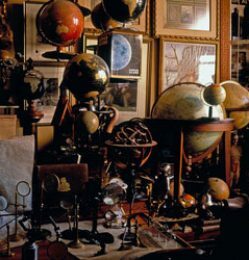 From the beginning the emphasis has been on the themes of science, exploration and discovery as exemplified by globes, prints, maps, art and antiques. 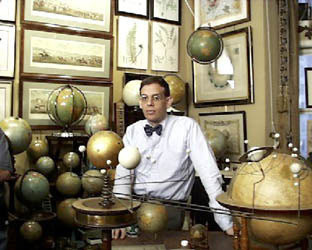 George is one of the countrys respected experts on American globes and offers antique and vintage models in all price ranges. 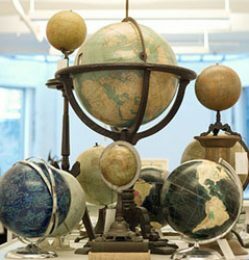 Antique globes, maps, prints and art.